Below you fill find all funeral homes and cemeteries in or near Hutchinson. Suburbs of Hutchinson: Medora, S Hutchinson, So Hutchinson. 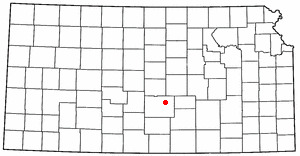 Hutchinson is also known as: Reno County / Hutchinson city. Zip codes in the city: 67501, 67502, 67504, 67505. Some of the notable people born here have been: Lucinda Dickey (actor and dancer), Pat Ryan (american football player), Ken Huff (american football player), David Dillon (businessperson), Scott Heim (writer and novelist), Stephen Bridgewater (actor and film director), and Kevin Yoder (lawyer and politician). 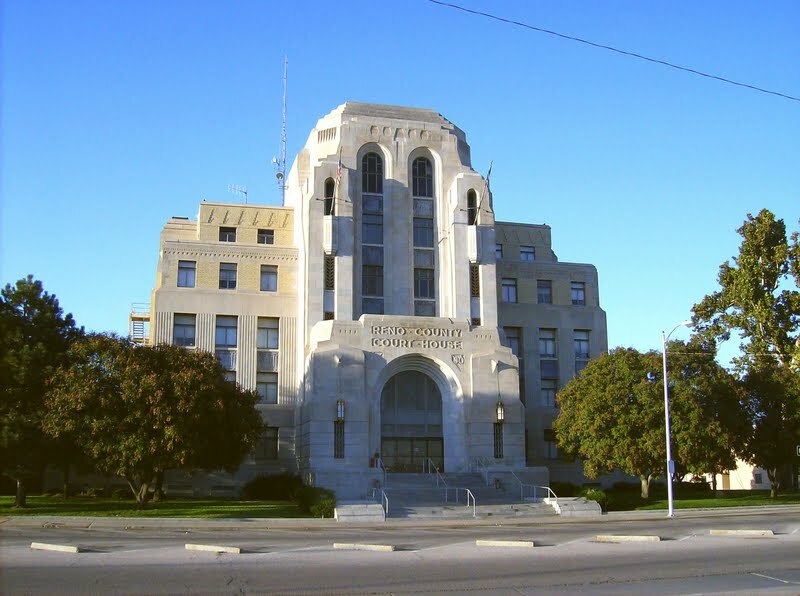 Hutchinson is the largest city and county seat in Reno County, Kansas, United States, and located on the Arkansas River. It has been home to salt mines since 1887, thus its nickname of "Salt City", but locals call it "Hutch". As of the 2010 census, the city population was 42,080.Each year, Hutchinson hosts the Kansas State Fair, and National Junior College Athletic Association (NJCAA) Basketball Tournament. It is the home of the Kansas Cosmosphere and Space Center aerospace museum and Strataca (formerly known as Kansas Underground Salt Museum). It was revealed by Hutchinson News on March 15th, 2019 that Fontella L Hunt (Burrow) perished in Hutchinson, Kansas. Ms. Hunt was 98 years old and was born in Tulia, TX. Send flowers to share your condolences and honor Fontella L's life. It was revealed by Hutchinson News on March 13th, 2019 that Louis B Richardson died in Hutchinson, Kansas. Richardson was 91 years old. Send flowers to express your sympathy and honor Louis B's life. It was written by Hutchinson News on March 11th, 2019 that Delmar Ray Crawford perished in Hutchinson, Kansas. Crawford was 92 years old. Send flowers to express your sorrow and honor Delmar Ray's life. It was reported by Hutchinson News on March 11th, 2019 that Gale H Earle died in Hutchinson, Kansas. Earle was 87 years old. Send flowers to share your condolences and honor Gale H's life. It was disclosed by Hutchinson News on March 11th, 2019 that Russell Dale Smith died in Hutchinson, Kansas. Smith was 77 years old. Send flowers to express your sympathy and honor Russell Dale's life. It was noted by Topeka Capital-Journal on March 10th, 2019 that Erma Joyce Moore (Montgomery) passed on in Hutchinson, Kansas. Ms. Moore was 94 years old. Send flowers to express your sympathy and honor Erma Joyce's life. It was noted by Hutchinson News on March 9th, 2019 that Freddie Herschel "Fred" Clough perished in Hutchinson, Kansas. Clough was 90 years old. Send flowers to express your sorrow and honor Freddie Herschel "Fred"'s life. It was reported by Hutchinson News on March 9th, 2019 that Carolyn Jean Hoyer (Cook) passed on in Hutchinson, Kansas. Ms. Hoyer was 77 years old. Send flowers to share your condolences and honor Carolyn Jean's life. It was written by Hutchinson News on March 9th, 2019 that Melvina "Mel" Miller passed away in Hutchinson, Kansas. Miller was 65 years old. Send flowers to share your condolences and honor Melvina "Mel"'s life. It was written by Hutchinson News on March 9th, 2019 that Roger R Reed died in Hutchinson, Kansas. Reed was 61 years old and was born in Seattle, WA. Send flowers to express your sorrow and honor Roger R's life. iMortuary is a resource for funeral planning. Browse our site to locate funeral services and providers in Hutchinson such as funeral homes, cemeteries, cremation providers and funeral flowers. Hutchinson is known as the "Salt City." In 1887 it was discovered that the area contained a large amount of salt. Three companies mine salt in the area for traditional uses but one interesting use for the salt mines today is preservation. Located in the mines are master copies of iconic movies such as The Wizard of Oz, Gone with the Wind, and Start Wars. These movies as well as a multitude of TV, data, and business records are kept moisture free for the ages. The official website for the city of Hutchinson is http://www.hutchgov.com. Listing all funeral homes in Hutchinson, Kansas so you can easily send flowers to any location (same day delivery) or find any funeral service. Listing all cemeteries in Hutchinson, Kansas so you can easily send flowers to any location (same day delivery) or find any funeral service. We work with local florists and flower shops to offer same day delivery. You will find budget sympathy flowers in Hutchinson here. Our funeral flowers are cheap in price but not in value.